The Monkey Forest is on the edge of Ubud, Bali. We spent a week in Bali, a break from the Red Shirts and some of the environmental stories I am trying to work on in Bangkok. 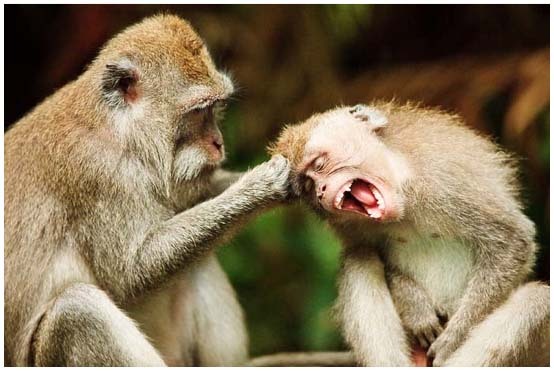 On our first day in Ubud we walked down to the Monkey Forest and saw these fine young simians grooming each other. There are more photos from Bali in my PhotoShelter archive and available from ZUMA Press.